The Labrador Retriever is unusually adaptable, obedient, and kind-hearted. No wonder it’s so popular! Labs are sociable, affectionate, and loyal. They have a very keen sense of smell. Most Labrador Retrievers are athletic; puppies are particularly active. The Labrador Retriever is unusually adaptable, obedient, and kind-hearted. No wonder it’s so popular! Labs are sociable, affectionate, and loyal. They have a very keen sense of smell. Most Labrador Retrievers are athletic; puppies are particularly active. 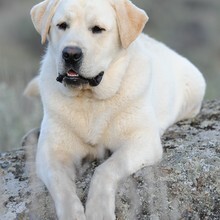 The Labrador Retriever has a mellow personality and gets along well with children, other dogs, and any household pets. Some Labrador Retrievers may chew, but they can be trained not to. Labradors do not make great watchdogs because they are friendly with strangers and are not territorial. You can find Labrador Retriever puppies priced from $125 USD to $18000 USD with one of our credible breeders. Browse through our breeder's listings and find your perfect puppy at the perfect price. Labrador Retriever Puppies for Sale - Shipped Worldwide! Finding the right Labrador Retriever puppy can be dog gone hard work. PuppyFind® provides a convenient and efficient means of selecting and purchasing the perfect Labrador Retriever puppy (or Labrador Retriever puppies) from the comfort of your home, 24 hours a day, 7 days a week. Take advantage of our PuppySearch or leisurely browse our directory of hundreds of dog breeds, Labrador Retriever dog breeders, Labrador Retriever dogs for adoption, and Labrador Retriever puppy for sale listings with photos and detailed descriptions. Some Labrador Retriever puppies for sale may be shipped Worldwide and include crate and veterinarian checkup. Many Labrador Retriever dog breeders with puppies for sale also offer a health guarantee. With thousands of Labrador Retriever puppies for sale and hundreds of Labrador Retriever dog breeders, you're sure to find the perfect Labrador Retriever puppy.